Recently I have been listening to some support audio and watched a video of a certain social event that triggered a feeling of deep sadness within me. The audio has been talking about how someone that I know could actually be desiring the ability to experience laughter and the video also showed people that I have known very good and were engaged in happy gathering while playing an instrument and singing together. I also wanted to attend that event that took place far away, however, I was not able to due to my current financial situation. And the audio that was talking about my friend could also be talking about me since I obviously have a similar issue. 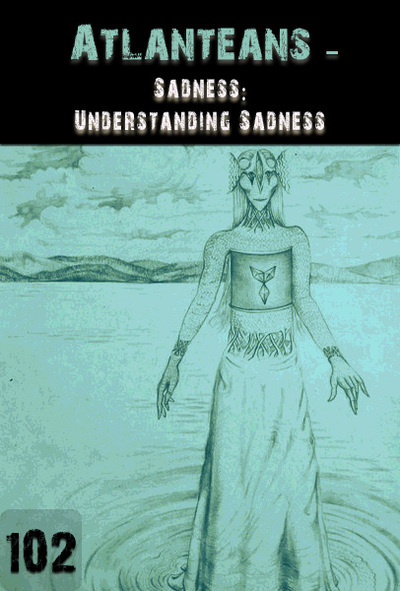 I have been writing about such feeling of sadness in my blog before however, I think that I have to face it by going even deeper into it. Firstly I want to explain that I am the oldest of two sons and usually if you are the first born child, parents expect from you to be a responsible role model for your younger siblings. I was no exemption and especially my father wanted to be proud of me so he pushed me to develop my abilities in order to brag towards others how great his elder son is. I wrote in previous blogs about how I got burned out while working in his family business and that is why I moved out of his house and started my own business. However, I did not consider the pressure that I felt to be very extensive and that I thought that I would be able to deal with it very easily. Now I see that I might have been suppressed much stronger than I believed before and that this is something that I do not want to admit to myself. Because as a male I have also been raised up not to express my emotions especially not sadness and never to cry. Generally, I defined the situation in our family as high above average meaning that I had a roof over my head, enough food, both parents worked and earned enough, I do not remember being abused very much so I definitely had it much better than many who suffer great scarcity and pain in this world. However what I did not pay much attention to is the subtle emotional abuse that I obviously endured during my upbringing. I later found out that my father had a hard experience since his father died while he was just a small kid and then he started living with his stepsister and his stepfather who was a butcher. My father did not talk about his childhood experiences much and he has always been hiding any kind of pain, including any kind of physical body discomfort. I guess he decided to live a life of a martyr by ignoring any pain of his own and assisting others to live better. In terms of experiencing happiness and laughter, I do not remember him expressing his positive emotions much and what I found very odd is that he did not like to be even hugged by others, including by myself. I saw him cry only once and that was when we had a conversation at a family dinner where I expressed my feelings of being suppressed and then he burst out with tears about how he felt that he was more than a good provider for me and my brother. That was actually the first event that made me understand that he is also suffering a lot and that he is not having is as easy as he has been portraying himself towards others. I remember only two occasions where he was being nasty towards me. The first was when I did something wrong and he made me kneel on grains of rice for quite a long time. And I remember him making fun of me once which was related to me growing pubic hair or something related to that. Oddly I have no much remembrance about how I experienced myself in early childhood and how was my relationship towards my brother. I know that he was able to express himself emotionally to a much greater extent that I was. Actually, he developed the polar opposite personality of being extremely extroverted, making fun of things and forcing others to laugh by making jokes and pushing their buttons in all sorts of ways. I did not like his behavior since in case of serious conversations he always quickly fled away and did not want to equally take responsibility. His philosophy was basically that every problem can be solved by making others laugh. Thus I have started to connect being happy and laughing with a diversion tactic and wanting to be irresponsible. Consequently I also hardly ever laughed since I wanted to be a responsible oldest son which was my personal survival tactic and also a form of me manipulating other to get what I want. I do not remember any member of our family playing any instrument or singing any song. Although I did hear a testimony of my mother how in her childhood she started to learn to play the violin and then her mother forced her to play any time someone came for a visit. This is the reason why she then started to hate playing the violin or any other instrument. And possibly this is also the reason why my brother and I were also never encouraged to play any instrument. I remembered my mother telling me the story about how I was in a choir in the 1st or 2nd grade of primary school and how after we started to sing I soon broke into tears and was crying so intensely like never before. I am still wondering why was that and I suspect that my father envied and thus bullied me any time I wanted to express myself via singing. Consequently, due to all such suppressions, I did not practice to memorize any lyrics nor jokes. The way how I was raised up made me uncomfortable in some social situations. For example in the last years of primary school. Someone had an idea to during a class break organize a quick performance when each classmate would step on top of the desk before the blackboard and sing one song. When it was my turn I told everyone that I do not know any lyric by heart and no one believed that such a case can exist. They pushed me to step on the desk and believed that eventually, I will remember some song. However, even after standing there for quite some time I was not able to and felt embarrassed in front of the class. Similarly, I feel very uncomfortable if I was invited to an event where someone would play guitar for example and others would sing popular songs since it was expected that everyone knows their lyrics by heart. Around the age of 25 when I started to live in my own apartment, I decided to take a guitar class. Most of the music schools only accepted children however I managed to find a school for adults where they taught dancing and how to play guitar. I practiced at home how to play some popular songs using chords and how to sing along. Then I also played once when one of my young female neighbors had a birthday, however, some of the guys there made fun of me and I did not feel very happy about that. Eventually, I stopped playing guitar. One of the reasons was not feeling comfortable physically since besides already sitting for many hours working with computers playing guitar meant additional time where I was forced to sit. Also pressing the strings was painful for my fingers, they left a nasty metal smell and taste on my fingers and made the skin on top of my fingers to thicken. A much nicer experience, however, was when I joined Hare Krishna movement years ago when we played simple instruments and repeatedly sung mostly only a simple mantra that was easy to learn. But there were other things that bothered me there so I left that group after a couple of years. In recent years I pushed myself to visit some music concerts. It is great to see how many people from the audience sing along and have fun. However, I am also critical about repeating lyrics since I believe that by repetition of statements within the lyrics of the song one is programming and conditioning itself. And I definitely do not want to join singing out loud lyrics that I find limiting and creating a feeling of self-pity or similar to that. I also do not like to visit live music events since people there usually drink or even smoke and thrash and spill the drinks on the floor. I think that expressing yourself with making music and singing is great when certain conditions are met. In some cultures dancing and singing is practiced in a sacred form where it is mostly performed in small groups without any audience as a way of spiritual or religious practice. They perform with the intent to express gratitude towards the creator and do not care for the appraisal of the audience. Music can also share deep messages and change society. I was happy to see that also in our Desteni group where we transform mind patterns with writing like what I am currently doing some are also creating supportive music. Like the Robot Virgin, Anna and Viktor, Viktor Persson and MFM Radio for example. And I have also been thinking about writing and creating some music with deep messages however there are other things that attract me more at this moment. There are many options in this life, however, each one has a limited amount of time and every one of us must decide about priorities and what they want to focus to until further. I forgive myself that I have accepted and allowed myself to believe that others do not like how I play or sing just because of who I am as a being and want to suppress me because they are evil. I realize that my parents did not support my singing and playing because of their own history of not developing or being allowed much to develop musical skills. And in the case of my mother, she obviously projected her own frustration and wanted to protect me from the same experience of having been forced to perform in front of others without my will. Thus I commit myself when and as I play or sing and my parents make an unflattering comment about my performance and my mind produces thoughts like: “They are pure evil and I hate them for that!” to stop and breathe. Within the realization that what others say is more a reflection of who they are and not about me I then continue to play with the intent of my self-expression and my own personal enjoyment. I forgive myself that I have accepted and allowed myself to in case of someone is being critical towards my musical performance to blame it all on them. I realize that when I have been playing guitar at the birthday party of my neighbor I have not been very skilled and I wanted to impress others in order to be prised and to feel good. Thus I commit myself to when and as I am invited to a gathering and my mind is producing thoughts like: “Take your instrument and perform some songs in order to show others how good you are!” to stop and breathe. I then rather consider the nature of the event, the appropriability of me playing there, the level of my current musical skill and my starting point. I ask the organizers of the event if they would like me to perform and explain the level of my skill to them. In case if they allow me to perform, I then play with the starting point of self-expression and allow any constructive criticism and understand also the nature of any criticism that is a result of projected envy. I forgive myself that I have accepted and allowed myself to feel sadness when and as I am being in a group where people are playing instruments and singing. I realize that such feelings are a form of self-manipulation where I want to blame others for my past experiences by acting out the personality of a victim. Thus I commit myself to when and as I am in a musical gathering and my mind is producing thoughts like: “Your musical expression has been suppressed in the past and it is my right to be sad about that!” to stop and breathe. I then within the understanding that my experience of suppression has been a projected experience of my parents, I decided to break this pattern of abuse and manipulation and become an example of how I want to be treated by treating musical performers with respect and by expressing my full support for their performance. I forgive myself that I have accepted and allowed myself to feel frustrated when and as someone pushes me to play an instrument or sing a song and I fail to perform like they hoped I would. I realize that other people have different family and educational backgrounds where some may consider the ability to play at least one instrument and to sing at least a couple of songs something normal. Some of them may not be able to comprehend that there are also people in this world that can play no instruments and do not know even one musical lyric by heart. However, this is their problem and lesson to understand and accept that life shaped a lot of people in this world that can perform very differently than themselves. Thus I commit myself to when and as someone expects me to play an instrument or to sing some song and my mind produces thoughts like: “You should be ashamed of yourself for not having developed even basic musical skills!” to stop and breathe. I then within emotional stability simply explain to others that producing music is not something that I have been developing much and that best for them is to fully and completely accept this fact.